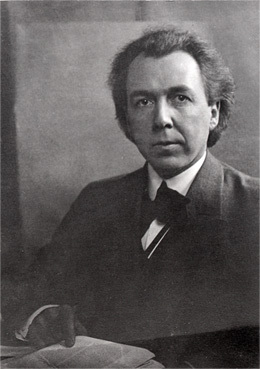 In 1905, as his Oak Park practice flourished, Frank Lloyd Wright traveled abroad for the first time in his life. In contrast to many of his architectural contemporaries, who traveled to see the sights of Europe, the center of Western architecture, Wright took an extended three-month journey to Japan. 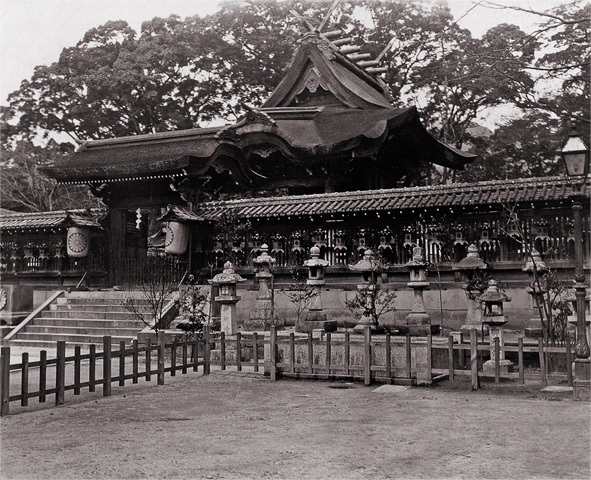 Traveling with his wife, Catherine, and Ward and Cecilia Willits, his clients from Highland Park, Illinois, Wright would spend his time in Japan visiting significant historical sites and collecting the woodblock prints with which he had become so enamored in the 1890s. Departing on February 21 by steamship from Vancouver Harbor, Wright’s party landed on March 7 at Yokohama port, near Tokyo. Discord between the two couples meant that the Wrights would spend much of their time in Japan independently of the Willitses. Wright and Catherine’s route, carefully planned before they left Oak Park, took them along the Tokaido Road, an historic coastal highway connecting Tokyo and Kyoto. 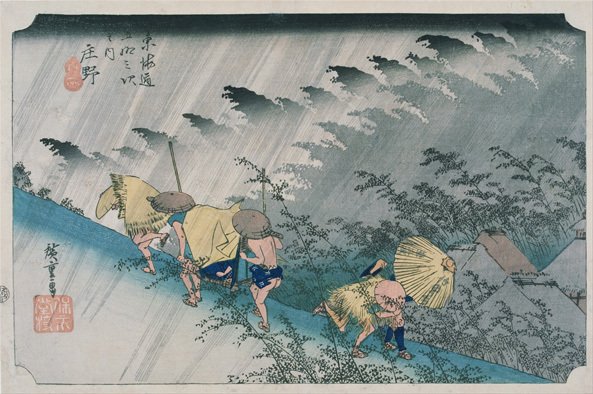 The picturesque route, punctuated by towns and villages offering lodgings for travelers, was popularized in many of the Japanese prints that Wright collected. Traveling predominantly by rail, the Wright’s journeyed westward via Nagoya, Kyoto, and Osaka, before proceeding to Kobe, Okayama, and Takamatsu. They returned through eastern Japan, and visited the mountain resort of Nikko before departing the country on April 28. An accomplished amateur photographer, Wright traveled with a sophisticated four-by-five camera, documenting the buildings and landscapes he witnessed, and producing a significant photographic record of his time abroad. Upon his return to Oak Park, the architect compiled forty of his photographs along with fifteen purchased images of waterfalls in a personal album. While more photographs were likely taken during his travels, this carefully curated selection of images offers a remarkable insight into the focus of Wright’s attention in Japan. Wright’s photographs encompass several scenes of meticulously landscaped gardens, a view of a winding path through a dense wood, another of two travelers passing on a mountain path, hilltop vistas of the countryside, and multiple images of temples, shrines, and residences. While a number of the photographs serve as architectural documents, many of the images go beyond mere documentation of architectural details in order to evoke the experiential qualities of the specific sites. In a chapter titled A Song to Heaven in his 1943 autobiography, Wright poetically recalls his first sight of Japan. The architect describes a land where “Pure golden skies are seen over far stretches of blue sea dotted in the distance by flocks of white sampan sails.” He talks of hillsides carved by the ages with curving terraces, of mountain tops lined with pine trees, and of “straw-thatched villages nesting in the nooks of the mountainous land naturally as the birds nesting in the trees.” Wright’s description in An Autobiography, like his photographs, blurs the boundaries between the land he witnessed and the idealized vision of Japan represented in the prints he so avidly collected. Now again, as the ship’s anchor dropped in Yokohama Bay, I was to have earlier feelings deepened, intensified. Imagine, if you have not seen it, a mountainous land. Pure golden skies are seen over far stretches of blue sea dotted in the distance by flocks of white sampan sails—white birds at rest on blue water. On a professional level, his first trip to Japan validated much of what Wright had worked toward in his architecture over the previous decade. 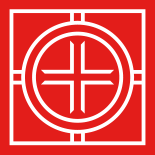 In the traditional Japanese architecture and landscapes he witnessed, Wright found confirmation of the organic principles of design that he pioneered in his Chicago Prairie buildings. Yet looking at the photographs, devoid of images of Wright and his traveling companions, it is clear that this trip was an immensely personal and evocative experience for the architect, a chance to transport himself into the world of his ukiyo-e prints as nearly as possible. Today, Wright’s photographic interpretations of his travels in Japan remain as one of the most personal statements about his enduring relationship with Japanese art and culture and its importance to his work in the Chicago region.